AmeriCare Home Health of Bryan was awarded a “deficiency free” survey by the Ohio Department of Health, Division of Quality Assurance. The State re-certification survey (that began on 07/21/2014 and concluded on 07/23/2014) found the home health company fully compliant with all applicable Medicare Program requirements. The survey evaluates how regulatory standards are met focusing on processes related to operational systems, documentation, staffing and service delivery. 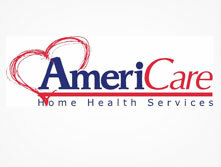 AmeriCare Home Health of Bryan, the first agency affiliated to the SAI Group, was acquired through a purchase in December of 2011. It is a full-service home health agency that provides skilled nursing, home health aide services, physical therapy, occupational therapy, speech language pathology, medical social work, and home telehealth in Williams, Paulding, and Fulton counties of Ohio.